We get this question a lot. Theater brings to mind a space that has limited access. Even in the age of Hamilton by Lin Manuel Miranda, the audiences are still predominantly white and upper class people. Seven years ago, we started performing in a lecture hall in a college library. 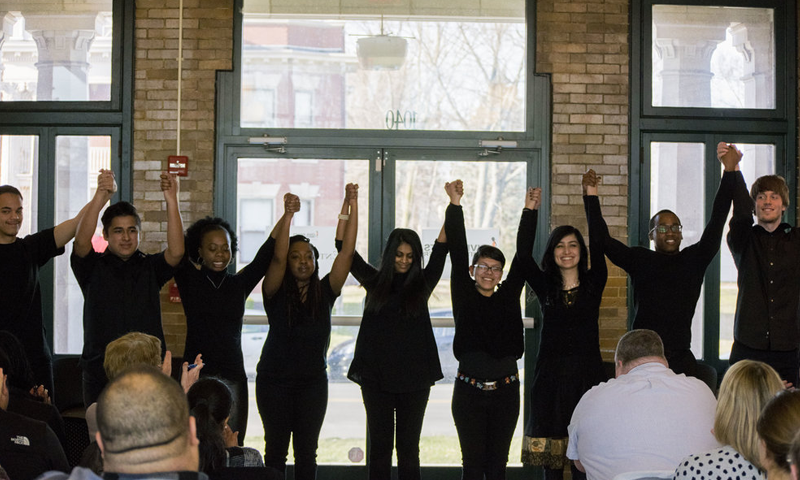 Last spring, our students at Indiana University South Bend brought their performance to the Civil Rights Heritage Center (a community center) and their campus cafeteria. We’re not talking about your ordinary red-carpeted theater. We lower the barriers to access and bring the theater to the people. We strive to capture the most alluring aspects of theater: intimacy and immediacy. Theater is unlike most art mediums in that you are fully present, in a seat and not behind a screen. The actor in front of you is a body, living, and breathing just like you. Theater creates an immediacy by transporting the audience into the shoes of the other. This intimacy creates a space where people delivering the complicated counter-narratives are humanized in ways videos cannot be. Now, why theater with true counter-narratives? We are committed to centering real-lived experiences from the margins–the often unheard voices from people of color, queer people, hyphenated Americans, Muslim Americans, women, and more. There is power in the telling those often unshared, unheard, uncentered narratives in itself. There is a rawness to a straightforward delivery of a lived narrative that cannot be captured by other media. There is transformative power in humanizing the story for what it is without dramatizing it. It reaches the audience not as a piece of art, but a real-lived experience from a person as vulnerable as them. And however complicated and flawed, these narratives open a dialogue that cannot be simulated. Finally, what is the impact of counter-narrative theater? The experience created by this model of raw, simple, monologue-based, counter-narrative theater is the closest we can get to hearing second-hand about real life encounters of racism, sexism, homophobia, and all of the marginal experiences of exclusion. This matters because it is an opening to understanding how we can replicate seminal experiences. Understanding the method of building empathy and creating spaces for activation is at the core of our work. 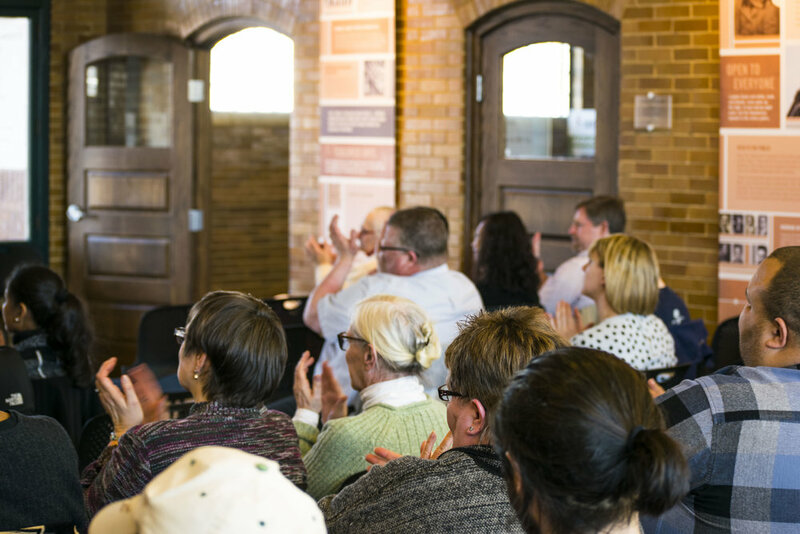 Our theater model is not art for art’s sake, but for activating communities and promoting social justice. Counter-narrative theater helps to galvanize individuals and communities towards empathy, social awareness, and action.